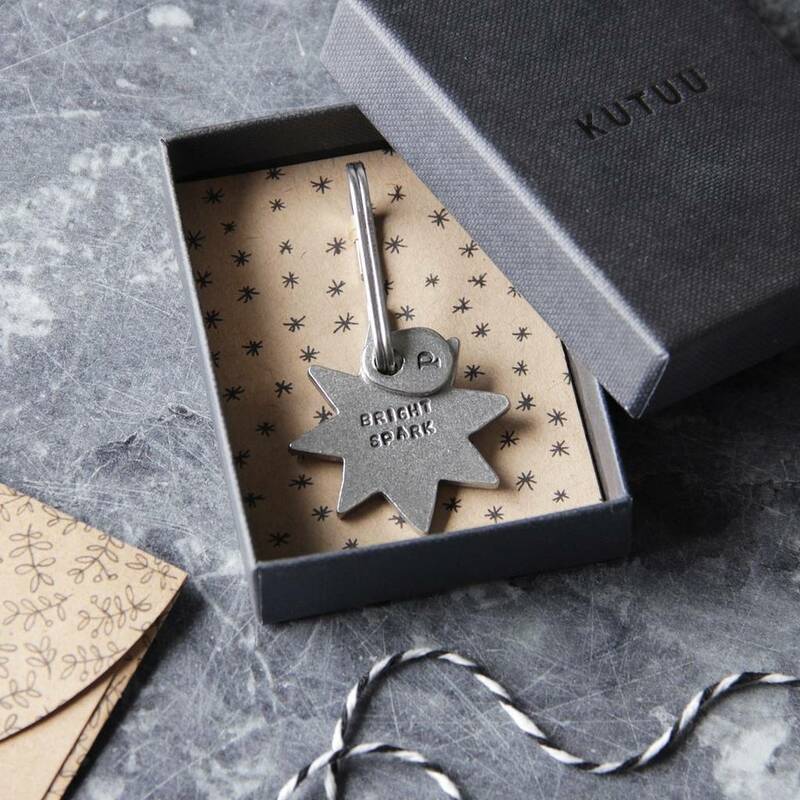 Surprise a "bright spark" with a keepsake keyring that will forever remind them of how especially quick and clever they are. The star shaped pewter token is stamped with the phrase "bright spark" in an uppercase font and finished with a lightly beaten texture. 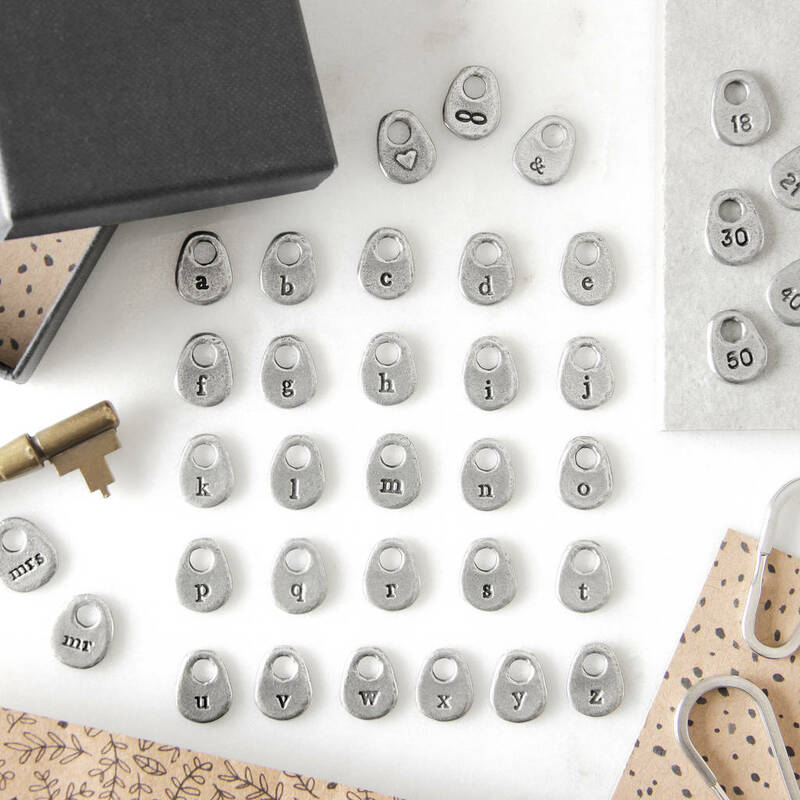 Personalise the keyring with small pebble charms that feature an initial, milestone age or symbol such as a heart, star or infinity sign. 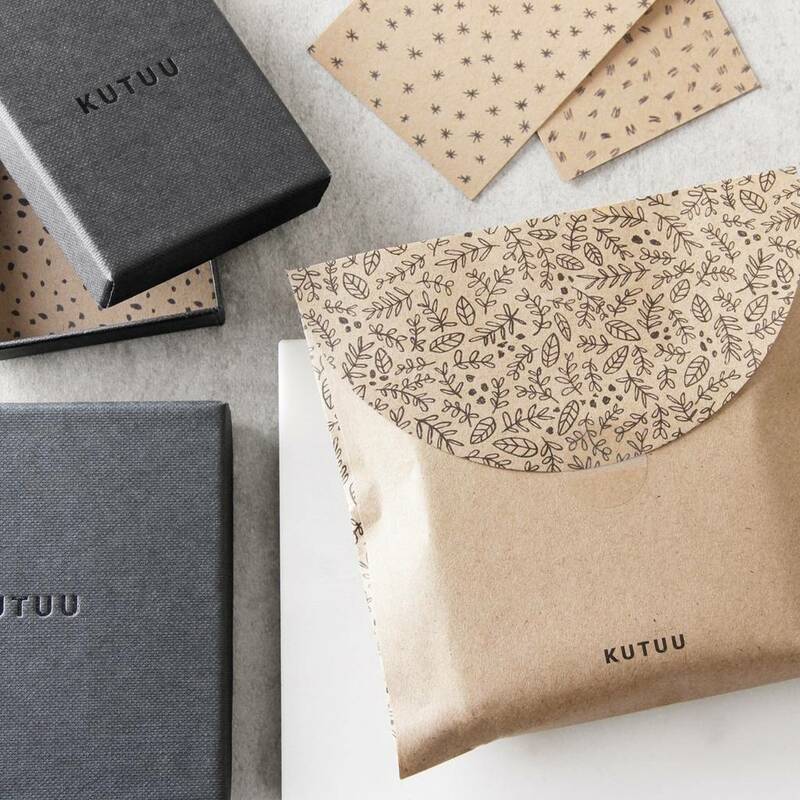 Complete with a gift box, it makes a lovely congratulations gift for exam time, heading off to university or the start of a new job. Pewter with a stainless steel split ring. The token is 3.5cm diameter, pebbles are 1.1x1.9cm and the split ring is 3.5cm.